It’s really a shame that, as with Dying of the Light, it’s unlikely we’ll ever see what director Gee Malik Linton’s original movie was like although I have read some have seen his cut. Instead, we get a hodge-podge mess of a film slapped together by the studio and the result was an utter mess of a film. Studio interference isn’t anything new but only gets publicity if it’s high profile but getting a wide variety of titles to review, you come across more than a few of the smaller productions and Exposed is the latest but not the first from Grindstone Entertainment, the company that also took away a film from a director, the last one being Dying of the Light by Paul Schrader and starring Nicolas Cage. It was butchered to the point of being a messy pulp and yet by comparison with the hack job Exposed underwent? Not even close. This was a terrible film from start to finish and the edit job was downright atrocious. 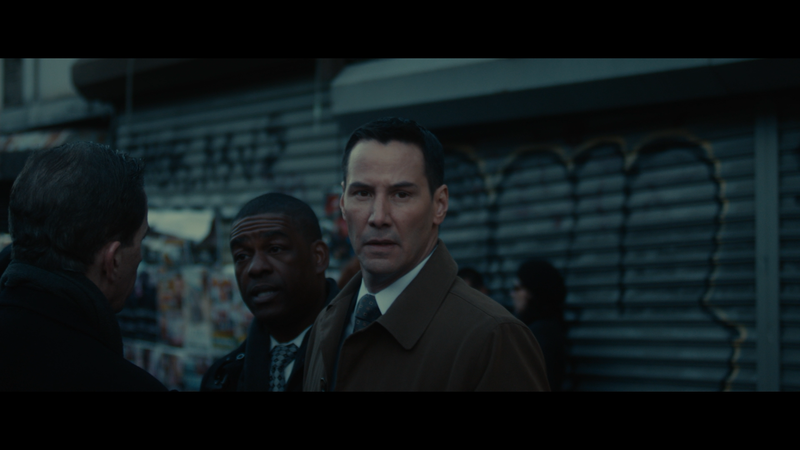 Simplified, the story centers on NYPD Detective Galban (KEANU REEVES) as he investigates the murder of his partner in the subway. 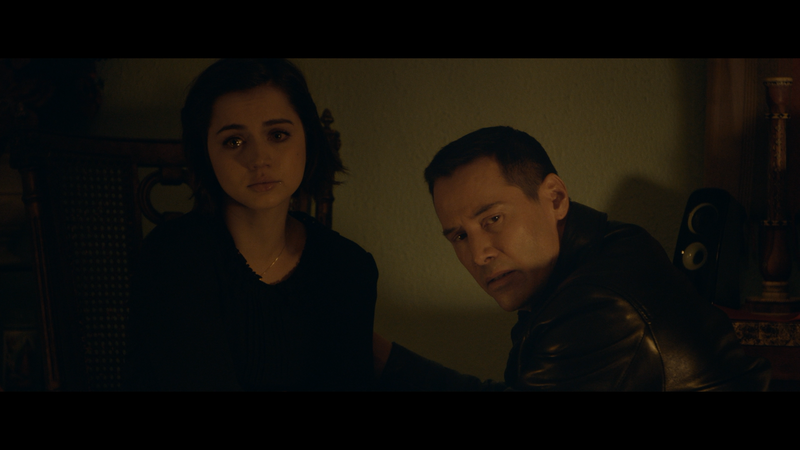 Hunting down leads and suspects that include a few in the criminal underworld, he believes Isabel De La Cruz (ANA DE ARMAS) has knowledge and with witnesses turning up dead, her life might be in danger. Meanwhile, we get a glimpse of Isabel’s home life with a husband serving overseas and her close knit relationship with his family. She also begins seeing strange people taken straight out of a Guillermo Del Toro movie and even mysteriously becomes pregnant in spite of her husband being abroad over a year leading to the belief she had an affair while she thinks it Immaculate Conception. The film finds various characters coming in and out of the picture from Galban’s police chief boss (CHRISTOPHER MCDONALD) to his partner’s widowed wife (MIRA SORVINO) whom he begins having an affair with, not to mention a couple street thugs suspected of being behind the murder. Exposed is a vast mess of a movie with horrible editing, lackluster character development (no doubt lost in removed scenes) and half-hearted performances from Keanu Reeves and other supporting actors, though for her part, Ana De La Cruz has the charm and charisma that I would’ve been interested to see the movie writer-director Gee Malik Linton originally intended that focused more on her character’s home life, with a social commentary at its core, while Reeves’ Galban was, from my reading, far more of a supporting role. The studio had other ideas wanting to make this a Keanu Reeves mystery-thriller vehicle and thus swooped in and made a truly terrible movie to the point Linton had his name removed as director, now credited as Declan Dale; Alan Smithee IMO would’ve been a harsher and more obvious slap at the studio, however. This release comes with a glossy, title-embossed, slip cover. Inside is a redemption code for the Digital HD copy. Making Exposed (12:08; HD) is a very basic behind-the-scenes featurette where cast (Armas, Reeves, Sorvino, McDonald) discuss the plot and characters. 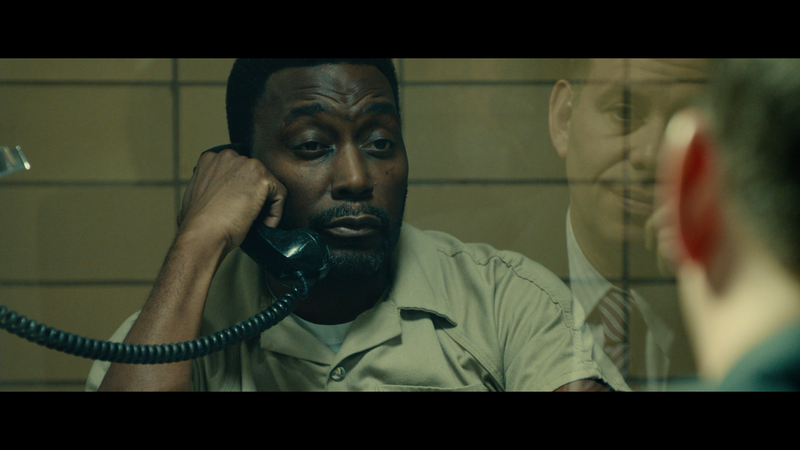 Cast Interviews (TRT 29:18; HD) – We get some extended interview footage with Reeves, Sorvino, Armas, McDonald, Rispoli and Big Daddy Kane. 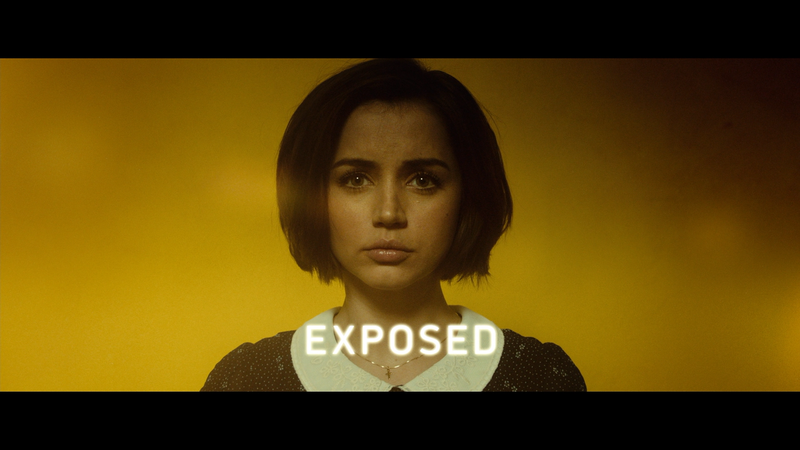 Lionsgate releases Exposed onto Blu-ray presented with a 2.40 widescreen aspect ratio and a 1080p high-definition transfer (MPEG-4 AVC codec). The movie itself is dark, and gritty, both in tone and how it was filmed in keeping with the plot. Detail, however, is nice and sharp and the transfer itself is fairly clean, no obvious signs of artifacts, aliasing or other flaws. That said, it’s not the most color film flick so it does lack that certain pop thus it’s not the prettiest looking picture to look at. The movie was given an adequate if not standard DTS-HD Master Audio 5.1 track that shows off clear dialogue levels. It’s not the most robust or in-depth track as even the few thriller scenes were a bit lacking and the LFE channel rarely, if ever, kicked in. It’s nothing special yet it does get the job done fairly well. Overall, it’s really a shame that, as with Dying of the Light, it’s unlikely we’ll ever see what director Gee Malik Linton’s original movie was like although I have read some have seen his cut. Instead, we get a hodge-podge mess of a film slapped together by the studio and the result was an utter mess of a film. The Blu-ray released through Lionsgate is basic with some EPK-like featurettes/interviews but good video and audio transfers. really like your reviews. Would be great if you add a bdinfo report for each disc you review. One time there was cinemasquid database and that was really useful to compare different versions and choose the better. Is it something you can do?